Our alumnus, Er. 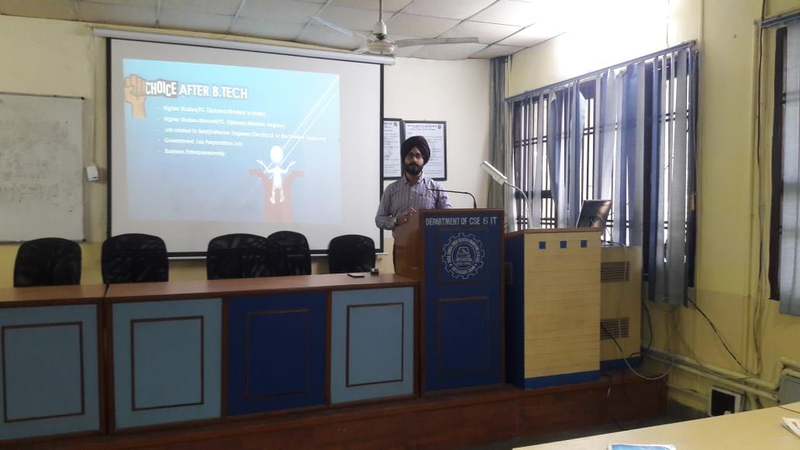 Manminder Singh (Batch 2010-CSE), gave his talk on the topic ‘To get success start early, make mistakes and stay persistent’. 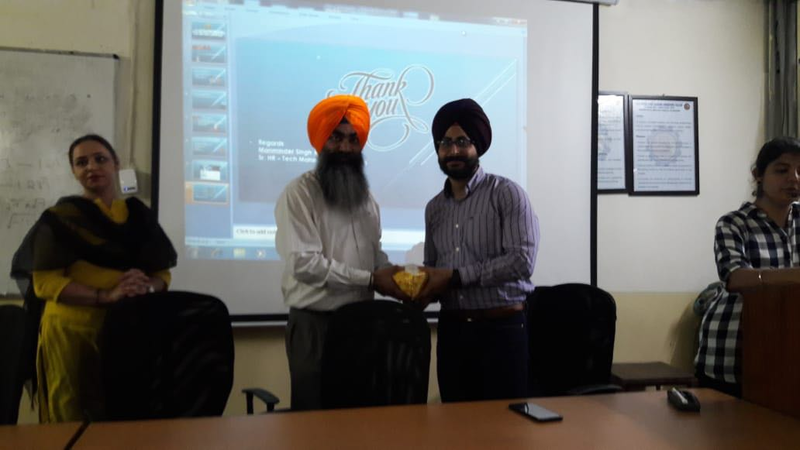 It was about making the students aware about the challenges faced in the current corporate world and the capabilities demanded to combat the same. 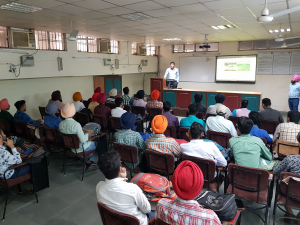 He shared his views and experiences about the different types of software projects handled by the firm and the work culture offered by the organization. 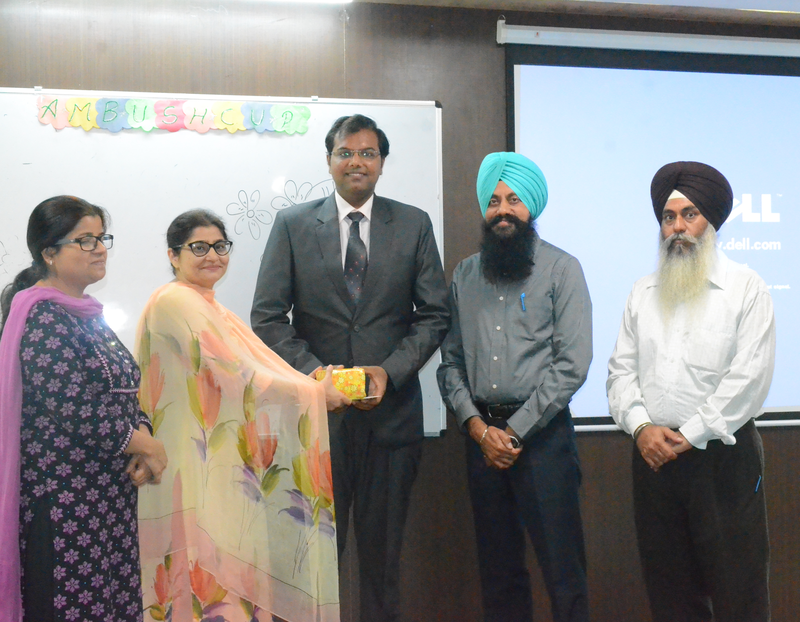 This talk was attended by the final year students of CSE and MBA. In the end, the queries of students were efficiently answered by the speaker. Our Alumnus, Er. 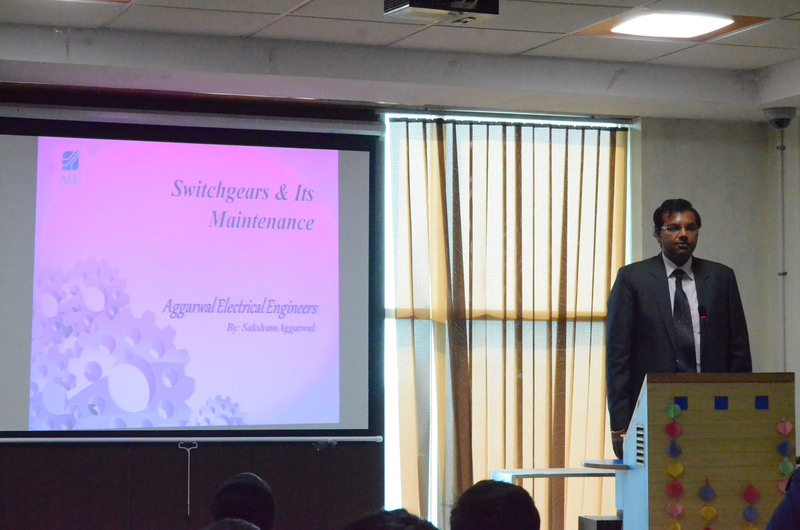 Shivam Aggarwal (Batch 2010-EE) delivered a talk in the Electrical Engineering Department. He owns a company named as Aggarwal Electrical Engineers in Sirhind city. His company deals with the sales of switchgear and provides after sales service too. He shared his personal experiences with our students and told them about the future challenges that they are going to face. 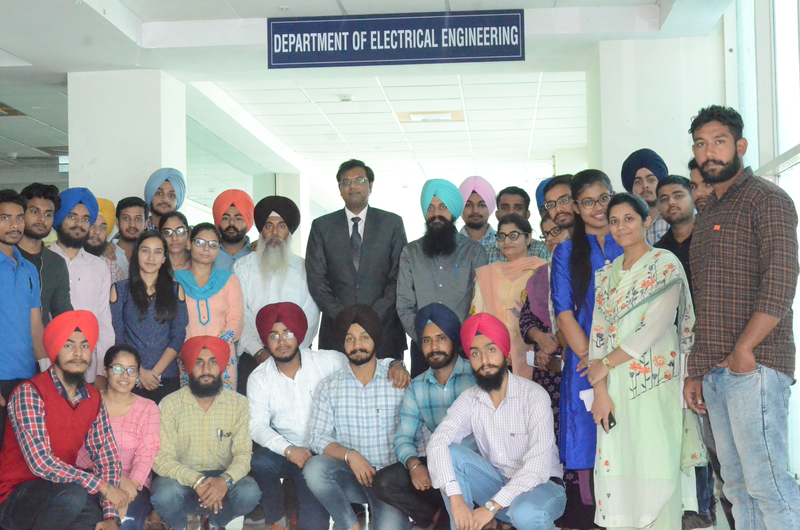 He not only explained switchgear theoretically but a practical workshop on Switchgear was conducted and he explained the practical aspects of various switchgear used in industry. 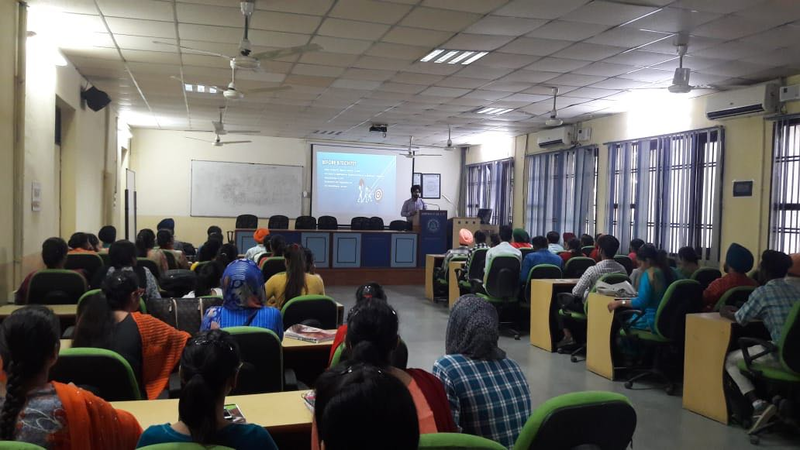 Around 50 students of final and pre-final attended the lecture. Er. 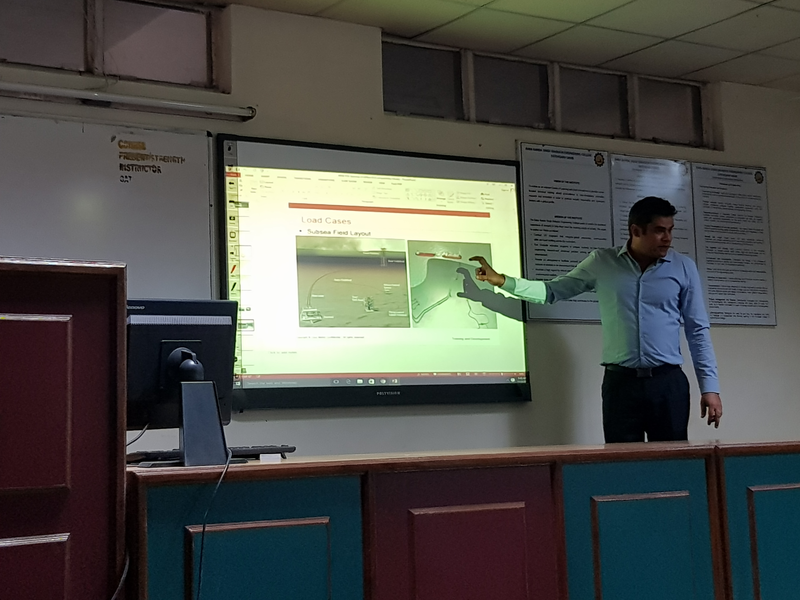 Vipul Mehta (Batch 1998-ME), presently working as Senior Manager Engineering in Oceaneering International Services Limited delivered an expert talk to our second year Mechanical Engineering students. He gave a presentation on various topics as: How, Why & where to use Elevator Speech / WIIFM; What Next! Higher Education, Job options and beyond; Oceaneering International Services Limited Overview; Engineering Drawing in Industry; Stress analysis in various load conditions & Validating Steel Structure using hand calculation; Subsea Distribution Hardware / Oil & Gas Subsea Field Development / SURF / PLEM / FPSO; Take Away & How to conclude. The students were inspired and learned a lot from his lecture. It helped in enhancing the personal & professional development of students. The college appreciates the willingness of our alumnus in providing the students with regular opportunities to leverage their knowledge and experience that make the students to be industry ready.